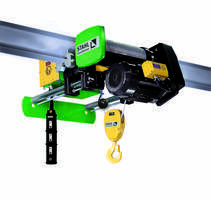 Yale YK and Shaw-Box SK German-engineered electric wire rope hoists integrate advanced safety features such as block-operated and adjustable geared limit switches, overload protection, and motor temperature control. 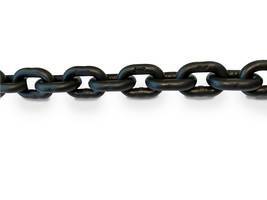 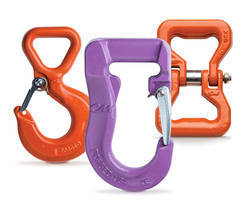 The product lines include lifting capabilities from one to 10 tons, three frame sizes, and a customizable modular system to meet specific requirements. 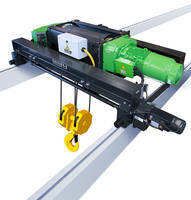 Other features include low headroom trolley and single-girder overhead travelling cranes for applications with limited space. 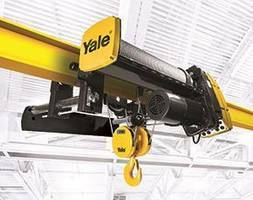 GETZVILLE, N.Y., May 1, 2018 – Columbus McKinnon Corporation (NASDAQ: CMCO), a leading designer, manufacturer and marketer of motion control products, technologies and services for material handling, introduces its new Yale® YK™ and Shaw-Box® SK™ electric wire rope hoists. 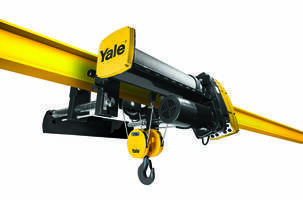 Manufactured to the highest industry standards, the Yale YK and Shaw-Box SK monorail hoists are German engineered and offer reliable operation, high efficiency and long life, and are competitively priced for the U.S. market. 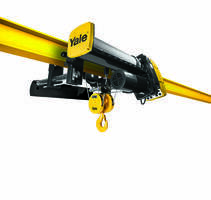 To learn more about the Yale YK, Shaw-Box SK or any of the company’s crane solutions products, call Columbus McKinnon Channel Services at 800-888-0985 or visit www.cmworks.com.